"Inside Appalachia" folklife reporter, Caitlin Tan, interviews Folkways Corps Reporter Heather Niday during an exercise at a recent "Inside Appalachia Folkways Reporting Project" training. The new program, the "Inside Appalachia Folkways Project," will expand the reporting of the "Inside Appalachia" team to include more stories from West Virginia as well as expand coverage in Virginia, Kentucky, Tennessee, North Carolina, and Ohio. The team also is developing a field guide of best practices to help reporters better understand how to tell the authentic stories of Appalachians. "We are so excited about this project," Roberts said. "We’re taking a really strong program with an excellent team and we’re going to focus more resources to help grow the 'Inside Appalachia' brand. Focusing on the arts, culture and people of Appalachia will be fascinating for our listeners and viewers and help get so many untold stories out there." 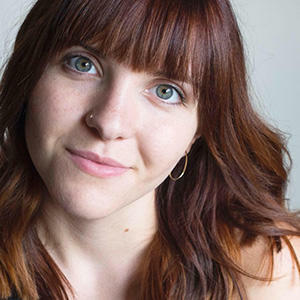 Jessica Lilly, host of "Inside Appalachia," is the project’s full-time project director. She is joined by part-time reporter, Caitlyn Tan, and the "Inside Appalachia Folkways Corps," which includes 10 specialized freelance reporters from four Appalachian states. Lilly said the team is excited to build on the current focus of "Inside Appalachia" by spreading awareness of Appalachian art and culture. "The 'Inside Appalachia' team always strives to highlight the beauty of everyday Appalachian life," Lilly said. "This project will help us take a strategic and more intentional approach to fulfilling our mission and goals for the show. In this time of economic transition in parts of central Appalachia, we are especially excited to learn more about the process of traditional Appalachian crafts. We are so thankful to have the opportunity to find even more treasures here in the hills." From Kentucky: Nicole Musgrave of Whitesburg. The initiative also will include developing ongoing partnerships with folklife organizations and artisans across the region, as well as expanding WVPB’s educational components surrounding Appalachian folk life and culture, providing a tool kit for educators to incorporate "Inside Appalachia" into classrooms everywhere. "Our focus is beyond enriching our coverage for ‘Inside Appalachia,’ " Lilly said. "We are happy to do that, of course, but it’s also about promoting a better understanding of who we are as Appalachians and leaving a legacy of understanding for generations to come through our field guide and the development of an ‘Inside Appalachia’ educational curriculum." "What better place to create this model than in West Virginia, a place that’s been misunderstood and misrepresented, sometimes innocently, for decades?" Lilly said. The Inside Appalachia Folkways Project is sponsored, in part, by the West Virginia Public Broadcasting Foundation, Inc., in support of WVPB, and is made possible through support from Margaret A. Cargill Philanthropies (www.macphil.org). "Inside Appalachia" airs Sundays at 7 a.m. and 6 p.m. on 32 stations and also is available as a free podcast download. For more information, go to http://www.wvpublic.org/programs/inside-appalachia. 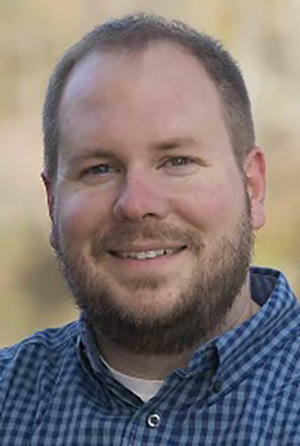 Mason Adams of Check, Virginia, is a native of Clifton Forge, and a journalist in Floyd County who has covered Blue Ridge and Appalachian communities since 2001. In 2001 Mason interned at High County News (and did a radio show at KVNF) in Paonia, Colorado, before going to work for the Enterprise-Mountaineer in Waynesville, North Carolina. From 2003-2012, he wrote for The Roanoke Times, in Roanoke, Virginia, and has pursued freelance opportunities for a variety of outlets including: The Washington Post, The New Republic, Politico Magazine, Yes! Magazine, Ensia, Virginia Mercury, Blue Ridge Outdoors, Blue Ridge Country, Daily Yonder, 100 Days in Appalachia, CityLab, Vice, Noisey, Munchies, Roanoker, Virginia Business, Belt Magazine, Scalawag and Grist. He also has worked for SustainFloyd, a local nonprofit, and has written on a part-time basis for Virginia Tech since 2014. Lexi Browning of Milton, West Virginia, is a freelance visual journalist and a second-year photojournalism graduate student at Ohio University. As a native of Appalachia, storytelling is in her blood. In her journalistic career, she has always aspired to share the stories that would otherwise go unnoticed. In December 2018, Browning completed her coursework and began pursuing her multimedia master’s project, entitled Vandalia, on the shifting sociological landscapes of West Virginia culture, tradition and identity. She earned her B.A. in Online Journalism from Marshall University in 2016, which made her the first in her family to attend college. She contributes to Reuters and The Washington Post as a regional correspondent and ultimately aims to work as a staff photojournalist for a sports-centric publication. 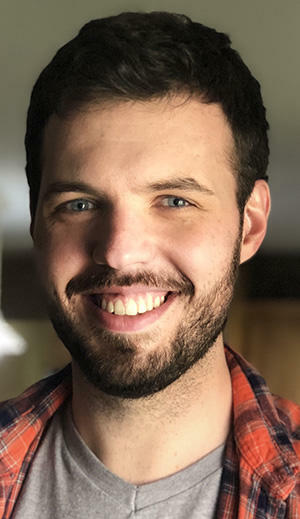 Jeremy Farley of Wytheville, Virginia, launched a blog in 2013 recounting the stories he had heard his grandparents share of life in Mingo County, West Virginia. From this blog, Appalachian Magazine was born. The online and print magazine now enjoys the distinction of being one of the region's fastest-growing publications with 144,000+ Facebook fans and a weekly reach of roughly a half-million. Farley lives in Wytheville, Virginia, where he and his wife both work as pastors for Restoration Church, ministering largely to individuals whose lives have been broken by drug use and heartache. 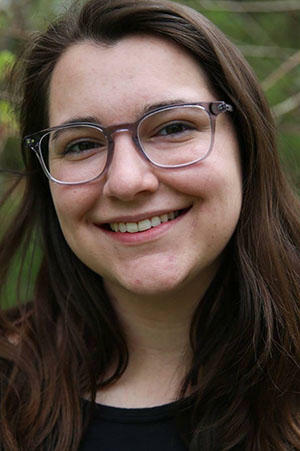 Rachel Greene of Durham, North Carolina, is a recent graduate of the University of North Carolina, Chapel Hill, where she studied photojournalism and environmental studies. Her love of storytelling began as a child growing up in Boone, North Carolina, largely due to her family’s dedication to keeping their Appalachian heritage alive. As a journalist and filmmaker, Rachel’s work focuses on environmental issues and folkways throughout Appalachia and the South. In her spare time, she enjoys hiking, reading and trying to replicate old family recipes. 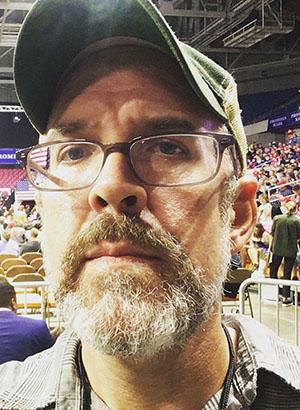 Zack Harold of Ashford, West Virginia, is a southern West Virginia native, the grandson of two coal miners, the son of a Pentecostal preacher, a former staff writer with the Charleston Daily Mail, and is currently the managing editor of WV Living and Wonderful West Virginia magazines. He enjoys playing music with his band The Sycomores. 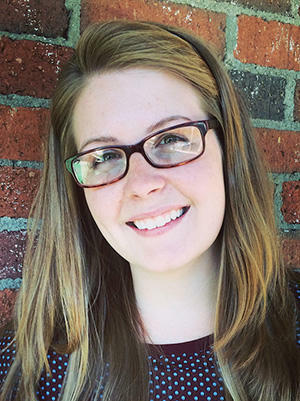 Jordan Lovejoy of Pineville, West Virginia, is a Ph.D. candidate in English and folklore at The Ohio State University in Columbus. Her work focuses on narratives about flooding, regional environmental literature and public-facing folklife projects in West Virginia and the Appalachian region. 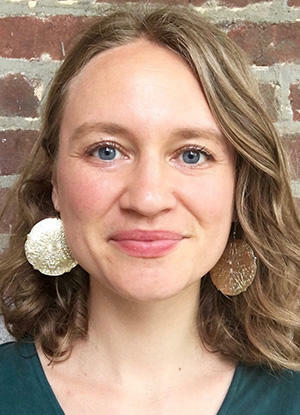 Nicole Musgrave of Whitesburg, Kentucky, earned a Master of Arts degree in Folk Studies from Western Kentucky University and works as a public folklorist and media producer in southeast Kentucky. 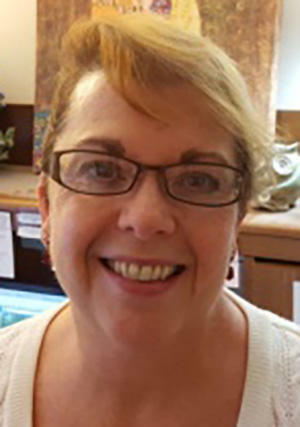 She currently serves as the Traditional Arts VISTA at Hindman Settlement School, developing and implementing arts- and culture-based programming in schools and producing a weekly folkloristic radio program for Appalshop’s WMMT-FM. Outside of her work at the school, her current projects include leading an NEA-funded initiative for the Kentucky Folklife Program to develop a Kentucky Folklife Network and a digital state folklife magazine and documenting the stories of "Culture of Recovery" participants, a program at the Appalachian Artisan Center that provides opportunities for artistic expression and skill-building to those in local substance abuse recovery programs in Knott County, Kentucky. In her free time, Nicole enjoys traipsing through the woods, playing music, and working on various art projects. Heather Niday of Green Bank, West Virginia, is the program director for Allegheny Mountain Radio. She began as a volunteer deejay in 1998. She joined the AMR staff in 2007 as news director and became program director in 2013, later adding traffic manager to her many jobs. Heather grew up in the Richmond, Virginia, area and moved to Green Bank when her husband began working at the Green Bank Observatory. Heather is a long-time musician (flute and vocal), choir director for Arbovale United Methodist Church and Steering Committee member of the Mountain Music Trail. She and her husband co-host "Something Different," a weekly show on AMR. Saro-Lynch Thomason of Asheville, North Carolina, is a multi-media storyteller. Her pursuits include teaching ballad singing and regional folklore, producing documentaries and freelance illustration. She earned a certificate in Documentary Studies from Duke University and a Bachelor of Arts in Studio Arts from Bard College. 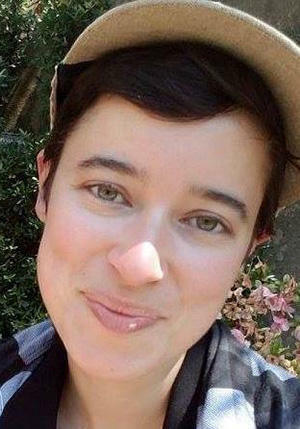 In 2018 Saro completed her master’s degree in Appalachian Studies at East Tennessee State University. Her audio documentary work includes the Recollections series, produced for the B. Carroll Reece Museum at East Tennessee State University. Chris Williams of St. Albans, West Virginia, is a multimedia specialist with at the West Virginia Department of Agriculture. He was raised in St. Albans and went to college at West Virginia University where he majored in broadcast journalism. 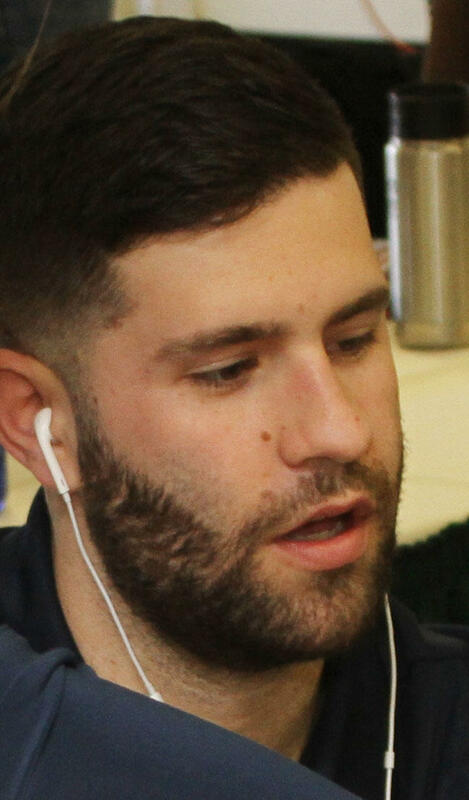 After graduation, he moved to Williston, North Dakota, to get started in local news and spent a year and a half there covering one of the largest oil booms in the United States, as well as other local news from western North Dakota and eastern Montana. Chris returned home to West Virginia to work as a reporter for WCHS in Charleston for four years before joining the West Virginia Department of Agriculture team.